History: The House That Ivy Built: Book 1 is the first book in the series, and it was the first fictional work I wrote which involved her (though chronologically it now no longer comes first). 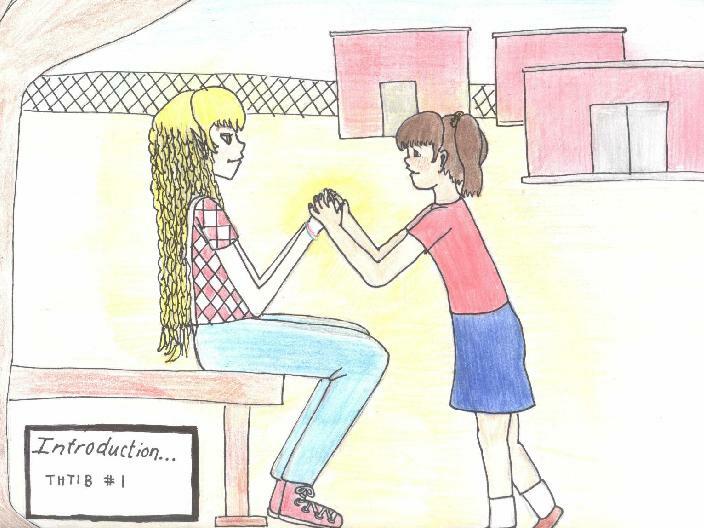 Ivy and her friends were "born" on July 31, 1996, making this a book I wrote before I officially entered college. I was eighteen. This book has been refined and edited dozens of times since then, so it looks very different from its first draft, but I still think the entire thing needs to be rewritten. It has little plot and sometimes includes rather idiotic plot points. On top of that, everyone's got a rather mysterious origin, and Ivy never tells you anything about it because she's too self-centered. It makes reading frustrating for the reader who actually wants to know about the bigger picture. That said, Ivy is still very much recognizably herself in these early writings, and she is still really fun to read about and her first books are important to me. 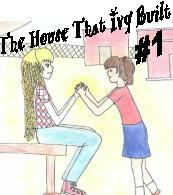 About THTIB 1: Ivy is a telekinetic teenager with little knowledge of the outside world. She knows almost zilch about the traditions and behavior expectations in the outside world, because she was raised outside society by her unusual companions. Ivy and her strange housemates live in an unconventional commune atmosphere by the sea; the core group, a motley bunch of non-humans, is supported by some of their open-minded human roommates, some of whom have jobs in the regular world. Ivy invites new people to the house through a process she calls a "mission," and THTIB 1 begins when Ivy is about to go on the latest in a series of these adventures. However, this mission is different. Adele, Ivy's clairvoyant mother figure, has decided that Ivy's goal is to cozy up to a seven-year-old named Nina Fairchild, after which she's supposed to bring the child home with her. Since all the previous mission subjects were acquired to serve a purpose or contribute monetarily, Ivy doesn't understand why she's recruiting a kid this time, but Adele also insists that this experience will be eye-opening for her, so she ventures forth reluctantly. Ivy discovers through her interaction with the outside world that she is getting more and more interested in this place ruled by humans, and the process of getting to know Nina and earning her parents' trust gives her new understanding about herself. Ivy starts to really understand how different she is and also how much she has in common with humans, and with Nina to show her the way, a lot of doors open for her. But when Nina establishes a bond with Adele that seems to go deeper than what Ivy can offer, she becomes bitter, confused, and frustrated by her own limitations. Is there something out there that Ivy wants? And is she ready to get it or does she need to figure out who she is first? This book is a very intimate first-person account of Ivy's thoughts and feelings. The story is, in a way, a commentary on society as well as a sort of character study. Ivy has some interesting observations that might be considered unconventional views about the society most of us live in, given that she comes from a tiny culture of her own and has never seen the one most people consider home. Some of her views are also skewed a bit from the "normal" ones because she considers herself "not human." You might enjoy reading Ivy's little adventures and getting to know who she is and who she wants to be!